Foundations of good reading among children are the same regardless of their gender, background or special learning needs.In other words, all children use the same processes in learning to read. Some children may be slow readers while others may be fast absorbers but all of them can ultimately master the same basic skills for fluency and comprehension. The three main interrelated goals for reading are: fluency, comprehension and motivation. Fluency is one's ability to identify words accurately and read text fluently with good expressions. It is achieved through reading made- easy books about familiar subjects. Children are enhanced in phrasing gaining more meanings through the texts they read. Comprehension is to understand, reflect on and learn from text. This includes: prior knowledge, experiences, language skills and higher-level thinking. The third is motivation to read which is tantamount to oil which lubricates the engine to move. Motivational factor is crucial to start with the process. Books, poems, pictures, charts and other resources could be ideal that catch the interests of early readers. Intensive research about early reading in Ontario Canada (2003) showed that reading concepts are the knowledge and skills that children should be equipped with in order to read with fluency and comprehension: oral language, prior knowledge and experience, concepts about the print,phonemic awareness, letter-sound relationship, vocabulary for reading, semantics, syntax and pragmatics; metacognition and comprehension strategies and higher- order thinking skills. These factors are not dependent from each other but rather support and build on each aspect for successful implementation. Oral language could be elucidated through experience; children accumulate vocabularies, semantic knowledge which is the awareness of the structure and syntactic knowledge. 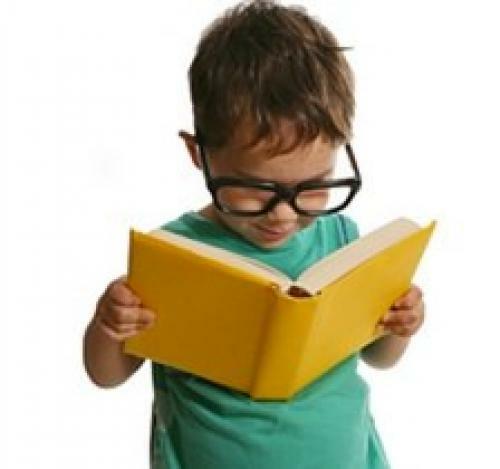 It has been proven that children who are proficient in oral knowledge have solid beginning for reading. On the other hand, prior knowledge and experience illustrates variety of experiences that will allow the children to admire concepts found from the texts. The anticipation of contents leads to easier decoding of the texts and deeper understanding of its meanings. It is the world of understanding that children bring to school.Researches on the early stages of learning indicate that children begin to make sense of their environment at a very early age. For the concepts about the print, it explains that when children come across with printed matters, they do not have the knowledge that the print represents spoken meanings of the language.They are aware of how the language is expressed in print.This embodies the following characteristics: directionality or how a particular language is read from right to left or the other way around; differences between letters and words. It will give the notion that there exists spaces between words; the awareness of capitalization and punctuations; as well as the books' front, back, title and author. These are enhanced by allowing them to observe experienced readers among teachers or family members. To achieve these concepts, teachers need to offer learners varied printed materials for constant practice which involves different sizes of books, colors, charts, posters, drawings, product labels and even pictures among others. And for phonemic awareness, teachers need to orient learners that every utterance has corresponding sounds. The need for phonemic awareness is crucial.It is a must foundation for word identification and with the absence of phonemic awareness, children will encounter difficulties.With this model, children are able to identify and use the individual sounds in oral speech. For letter-sound relationship from phonemic awareness and concepts about the print,children will slowly realize that there is a connection between the letter and sounds on the print that they read of which will allow them to create meanings.Phonics instructions teach children to understand the forms of words called graphemes and the single sound units known as phonemes. In the achievement of vocabulary for reading, multiple vocabularies provide strong level of comprehension. These allow them to label their knowledge and experiences. Reading vocabularies are words that are recognized in print. It is in this stage that teachers must augment learners' vocabularies through understanding unusual words. These could be achieved through affixes and root words analysis. New vocabularies through varied materials in the classroom shall be provided where reading aloud activities must take place for vocabulary conditioning. Semantics, syntax and pragmatics relays that words alone carry meanings however, there is a need to decode groups of words like phrases, clauses and sentences which will depend on sequences or organizations to convey meanings.Semantics refers to the meaning in the language through words, clauses, phrases or sentences while syntax is the structures and how the words and groups of words are combined to form meanings. Teachers need to formulate correct sentence structures so that children will anticipate these structures when reading as models. Metacognition and Comprehension Strategies yields that the ultimate reason for reading is comprehension. Good readers plan and monitor their reading at a metacognitive level. The favorable way to attain this is to think of strategies that they needed to make sense for the texts. When they are faced with difficulties, they evaluate their reading to identify the best tactic for improving the understanding of the text. At early age, they can understand the strategies that affect their own reading in the cognitive level. These are enhanced by teaching children to ask questions like: What is the connection of this to what I already know? What comes into my mind when I see these pictures? And finally, the higher- order thinking skills can be manifested in the early grades which are essential stages for this concept. The teacher needs to ask questions that challenge to allow the students to remember the text read and to what they understand about the texts through application, analysis,synthesis, evaluation to enhance reading dimensions. At this juncture, it is recommended to employ Bloom's taxonomy in Reading Instruction. Let's teach children to read in order to achieve the power to lead.